The Adirondack Park Agency will meet this week to consider a proposal to amend the State Land Use Master Plan. This is in reaction to Judge Robert Main's ruling last year that the SLMP does not have a category of land use that provides for rail trails. 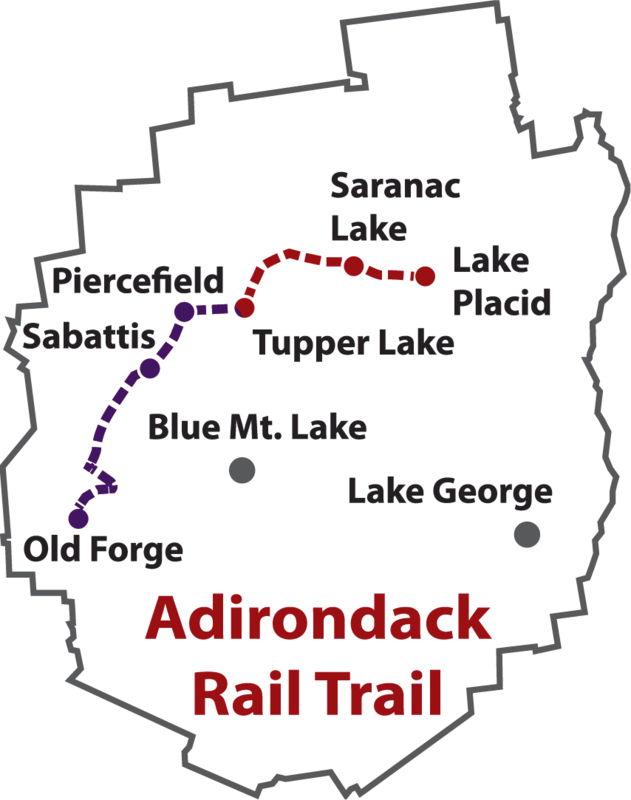 The proposed amendment would create a separate sub-category of travel corridor that would allot for the continued construction of the Adirondack Rail Trail and potentially others. The Adirondack Park Agency will consider changes to the State Land Use Master Plan that would allow for rail trail construction on qualifying rail lines across the state. The primary target is the Adirondack Rail Trail between Lake Placid and Tupper Lake whose construction was halted by a court order based on the definition of a 'travel corridor'. Rail trails would now be a sub-category of travel corridor. More detail is in this article from the March 6, 2018 Adirondack Daily Enterprise.